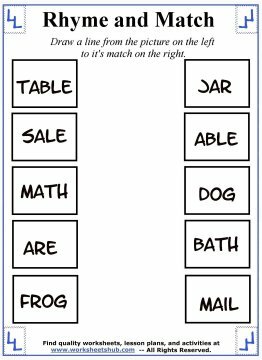 These rhyming words worksheets and activities are designed for students with various levels of reading. 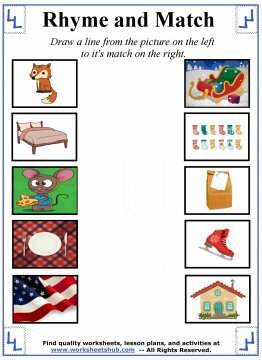 For Pre-K and Kindergarten students that are just beginning to learn how to read, there are a few worksheets featuring pictures that rhyme. For those children with more advanced reading skills, there are papers that use rhyming words instead of pictures. 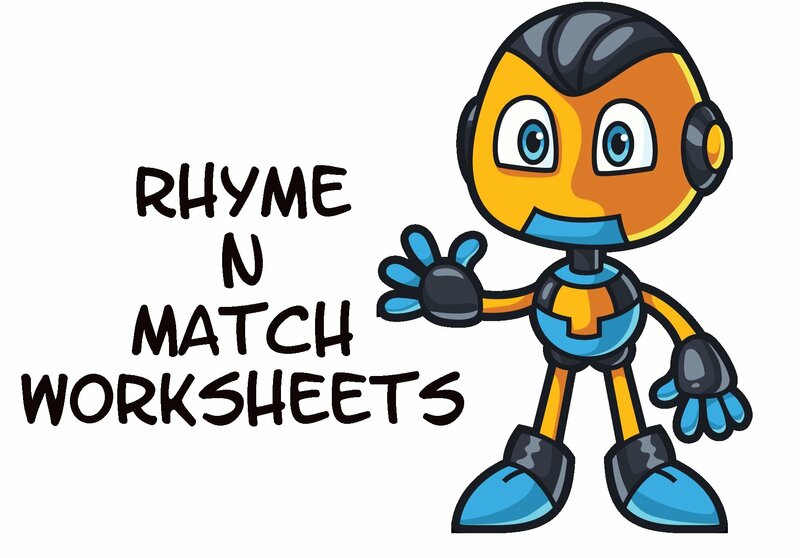 The first three handouts are all visually based tasks making them great for introducing the concept of rhyming to younger children that can't yet read. 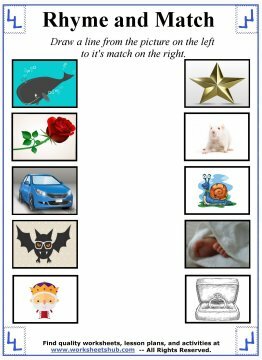 Help your child to say the name of the pictures on the left and then draw a line to its match on the right. 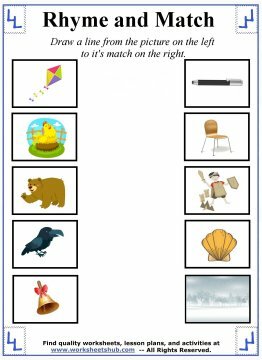 The last three worksheets replace the pictures with words. 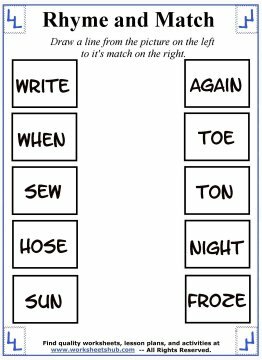 They are also designed to show how words can rhyme even if the endings are spelled differently. 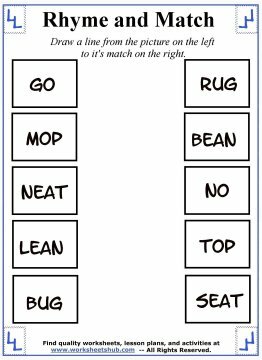 When introducing rhyming words (and spelling), it's good to start with simple words like mop/top, car/far, and other rhymes with similar endings. As your child advances you can begin to add in words that may be a bit tougher for your child. Kids may be used to seeing words like mop and top and understanding that they rhyme, but throw in words like 'whale' and 'sail' and they may have difficulty pairing the two together. While rhyming is mainly an auditory skill, children may still get tripped up when identifying rhymes in written form. The last three worksheets focus on this skill.